[ABRAHAM LINCOLN]. Book. 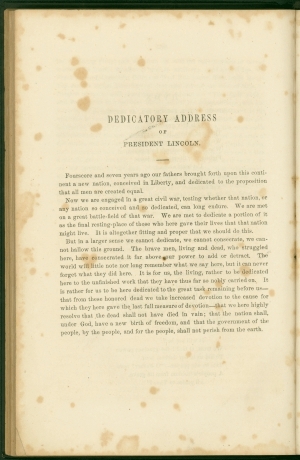 Includes a foldout map of the planned cemetery and a copy of Lincoln’s dedication. Published in Harrisburg, 1864. Fair condition. More detailed descriptions upon request.